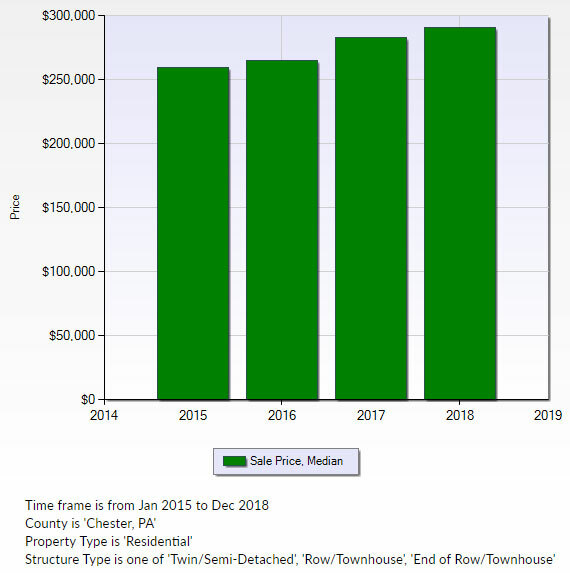 The Chester County townhouse market remains strong in the Spring of 2019. 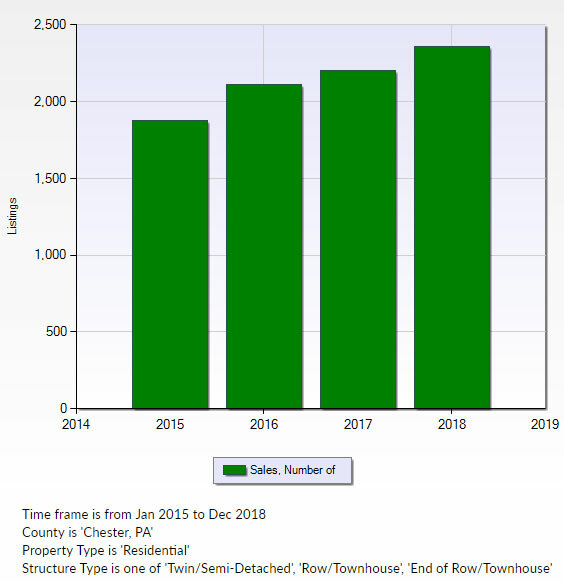 The statistics below for the years 2015 - 2018 show a steady increase in number of sales and median price. Consumers feel they are getting more home for the dollar when compared to detached homes. Some of these subdivisions have just townhomes and others have both townhomes and single homes.